Adoption is a long and meticulous process. It takes time, money and patience to see your dream of building a family fulfilled. Unfortunately, when couples are not careful, they may end up being scammed by irresponsible individuals or organizations. Your noble intention and willingness to love is not enough for a successful adoption. An understanding of the process and laws will help save you from a lot of heartache and headache. Adoption fraud is when a certain party such as the birthmother or even the adoption agency has the intention to mislead the adopting party. For example, if the mother does not intend to finish the process, but allows the future parents to go through the process in order to receive some compensation, this is considered as fraud. Most frauds are motivated by money but some do it just for attention sake. Adoption agencies that are charging too much or not disclosing necessary information to the potential parents is also considered as wrongful adoption. What are the Red Flags for Adoption Fraud? Scams can be avoided when prospective parents take the initiative to look for warning signs during the adoption process. When you see any red flags, this should encourage you to conduct thorough research before giving any money to any parties. A red flag is not an absolute indicator of a party deceiving, rather a sign for you to be extra careful and make the necessary steps. What Are the Things You Can Do to Avoid Fraud? Fortunately, there are things that you can do to avoid being deceived. For agencies, you can check with the State Licensing to see if there are any complaints made against the adoption agency. Furthermore, Better Business Bureau provides guidelines to help people choose the right adoption agencies. The Internet is a rich source of information. You can look at online review sites to see their experience with specific adoption agency. Join groups, pages and forums to get the latest updates on adoption frauds. 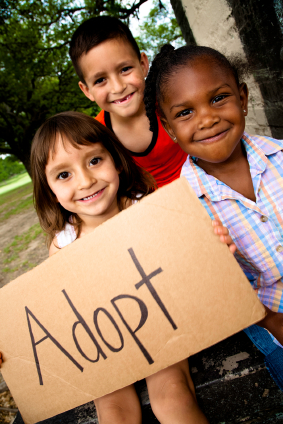 Interested foster parents are encouraged to hire a lawyer to help manage the adoption process. Understand the laws surrounding adoption and learn about your rights. Even if you are hiring a lawyer for the process, it helps to learn about the law because it will guide you in the decision making process. Ask successful adoptive parents about their experience with the adoption process. Take time to listen and note important elements that can hinder the progress. There are many local and online support groups that will young parents in their journey towards building a family. Adoption fraud is not uncommon. It happens both in local and international settings and in can destroy the dreams of both parents and children. However, when proper measures are taken, this kind of tragedy can be avoided. Can You Agree To Reduce Child Support In Utah?